The general aviation community is abuzz with the news that FAA AeroNav Products will change how it distributes electronic aeronautical charts and data and raise prices, probably substantially, for pilots and developers of applications, such as ForeFlight and WingX. The news was announced in November and discussed with the industry at a meeting on December 13 (for background and accounts of the meeting, which was closed to the public and the media, see, for example, AVweb, Hilton Software, SkyVector.com, Flying magazine, and AOPA). In brief, FAA AeroNav products wants to close a budget gap caused by declining sales of paper charts as pilots switch to electronic versions, and it hopes to restrict access to downloadable versions of its charts to authorized users and developers, who will pay fees (as yet unspecified) to get the data. According to the accounts of attendees noted above, FAA AeroNav floated several ideas at the December meeting. The folks who run AeroNav seem to want to impose per-user charges on developers, and they also seem intent on requiring app developers to copyright the data they get from the FAA. As a government agency, FAA can’t copyright its products directly. FAA says it wants developers to copyright data to assure the accuracy and currency of the information. Anyone can download free raster charts and ENCs from the NOAA website, which also provides links to free chart viewers. NOAA even offers its own free viewer for reviewing charts online, and the agency provides detailed information about how to obtain and use free electronic charts and data. NOAA also partners with vendors who provide print-on-demand paper charts. NOAA’s entire suite of over 1,000 nautical charts is available for free as Raster Navigational Charts in the BSB format. Commercial electronic charting software is required to use them. Weekly digital upates are also available. NOAA ENC® cells are available for free download. These are electronic vector data sets in the international S-57 standard. Updates are also available. Commercial software is required to view ENCs and to apply updates. In addition, NOAA provides detailed instructions about how to become a redistributor of its charts and data (for example, see the NOAA RNC® Distributorship Agreement [PDF]). NOAA ENCs are available as free downloads from the Internet. Mariners who wish to download NOAA ENCs directly and use the data to fuel ECDIS or ECS may do so. In October 2005, NOAA created a new mechanism for distributing NOAA ENCs. NOAA announced certification requirements with standards for applicants who want to redistribute NOAA ENCs as official data. Two types of certification are offered. The first type, Certified NOAA ENC Distributor (CED), covers NOAA ENC downloading, exact copying, and redistribution of those copies. The second type, Certified NOAA ENC Value Added Distributor (CEVAD), permits reformatting official NOAA ENCs into a System Electronic Navigational Chart (SENC) using type-approved software, and distribution of that SENC. NOAA intends by this action to assure that, though redistributed, quality official NOAA ENC data is offered to the public in support of safe navigation on U.S. waters. The purpose of this rule is to provide the procedures and requirements necessary for an entity to be certified as ‘‘Certified NOAA ENC Distributor’’ or ‘‘Certified NOAA ENC Value Added Distributor.’’ This certification process is voluntary. Only those applicants who wish to redistribute NOAA ENC data as official Federal data with the phrase ‘‘Certified NOAA ENC Distributor’’ or ‘‘Certified NOAA ENC Value Added Distributor’’ on products and marketing. NOAA appreciates that a nation-wide supply of electronic charts for ECS is important and so in union with these requirements, NOAA offers another proposed rule for Quality Assurance and Certification Program for NOAA Hydrographic Products, (69 FR 61172, Oct. 15, 2004). That program supports companies in making and selling electronic charts into the non-regulated market [i.e., private boaters], which is two orders of magnitude larger than the regulated market and provides additional commercial opportunities for private companies while preserving the safety of navigation. The total estimated economic impact to small entities associated with startup costs, software and equipment upgrades, the application process, reporting, recordkeeping, and compliance requirements is not expected to amount to sums greater than $5,228 per entity annually. I’m not a mariner, but it seems that NOAA has kept pace with the technology that has made electronic charts and free distribution of both the charts and data so attractive to the users that it serves. The mystery is why FAA can’t adopt a similar approach. Here’s a link to the latest proposal from FAA to change from a ground-based navigation network to a GPS-based system of airways and approaches. The long title of the document: Proposed Provision of Navigation Services for the Next Generation Air Transportation System (NextGen) Transition to Performance-Based Navigation (PBN). You can read all of the details and learn how to submit comments (due March 7, 2012) at the preceding link. Update: FAA has released a three-page summary that provides more details about which VORs would be decommissioned. Details and links available from AOPA here. The FAA plans to transition from defining airways, routes and procedures using VHF Omni-directional Range (VOR) and other legacy navigation aids (NAVAIDs) towards a NAS based on Area Navigation (RNAV) everywhere and Required Navigation Performance (RNP) where beneficial. Such capabilities will be enabled largely by the Global Positioning System (GPS) and the Wide Area Augmentation System (WAAS). The FAA plans to retain an optimized network of Distance Measuring Equipment (DME) stations and a minimum operational network (MON) of VOR stations to ensure safety and continuous operations for high and low altitude en route airspace over the conterminous US (CONUS) and terminal operations at the Core 30 airports. Currently, over 80% of the 967 VORs in the NAS inventory are past their economic service life and cost the FAA more than $110M per year to operate. Likewise, replacement parts are becoming increasingly difficult to obtain. The replacement of all of the VORs would cost over $1.0B. Therefore, the FAA is planning a gradual discontinuance (removal from service) of VOR facilities in CONUS to a minimum operational network (MON). The MON would enable aircraft anywhere in the CONUS to proceed safely to a destination with a GPS-independent approach within 100 nm. MON coverage is planned to be provided at altitudes above 5,000 feet above ground level (AGL). The FAA would also retain VORs to support international arrival airways from the Atlantic, Pacific, Caribbean, and at the Core 30 airports. The existing U.S. legacy navigation aids outside CONUS will be retained until a longer-term solution can be coordinated with users. The drawdown of VORs to a MON would be completed no later than January 1, 2020. For more information about the FAA’s plans, see an earlier post here at BruceAir’s blog about the Federal Radionavigation Plan (PDF). Here’s a link to background on today’s Talk of the Nation: Science Friday broadcast on NPR. 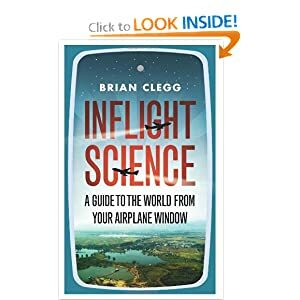 The guest is Brian Clegg, author of a new book, Inflight Science: A Guide to the World From Your Airplane Window. You can get the podcast of the show later today from the NPR website. The book looks like a good stocking-stuffer. 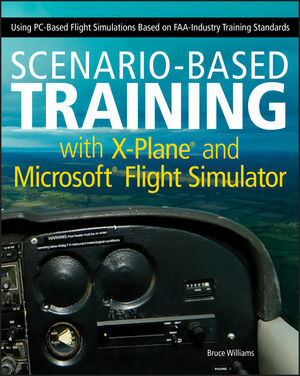 I get a lot of questions about PC-based flight simulations, and the most common query is, “Which is better, X-Plane or Microsoft Flight Simulator?” My detailed answer is the subject of Chapter 5, “Choosing a PC-Based Simulation: X-Plane or FSX?” in my new book, Scenario-Based Training with X-Plane and Microsoft Flight Simulator: Using PC-Based Flight Simulations Based on FAA-Industry Training Standards. You can download and read PDF versions of Chapter 5 and the table of contents for the book from one of my SkyDrive folders. You need the free Adobe Reader (or its equivalent) to view the PDF files. Here’s a notice from Jeppesen (dated 4 November 2011) that I’d missed. Jeppesen has started adding VFR en route waypoints in the U.S. and Europe to NavData updates. For examples of named VFR waypoints on terminal area charts, see this chart segment at SkyVector. Note the point named MID-SPAN SAN MATEO BRIDGE (VPMID). Such waypoints are common on Terminal Area Charts (for other examples, see the chart for KLAX, specifically the area around KLGB, and the insets that show the VFR routes that transit KLAX). 1. VFR waypoints provide VFR pilots with a supplementary tool to assist with position awareness while navigating visually in aircraft equipped with area navigation receivers. VFR waypoints should be used as a tool to supplement current navigation procedures. The uses of VFR waypoints include providing navigational aids for pilots unfamiliar with an area, waypoint definition of existing reporting points, enhanced navigation in and around Class B and Class C airspace, and enhanced navigation around Special Use Airspace. VFR pilots should rely on appropriate and current aeronautical charts published specifically for visual navigation. If operating in a terminal area, pilots should take advantage of the Terminal Area Chart available for that area, if published. The use of VFR waypoints does not relieve the pilot of any responsibility to comply with the operational requirements of 14 CFR Part 91. 2. VFR waypoint names (for computer-entry and flight plans) consist of five letters beginning with the letters “VP” and are retrievable from navigation databases. The VFR waypoint names are not intended to be pronounceable, and they are not for use in ATC communications. On VFR charts, stand-alone VFR waypoints will be portrayed using the same four-point star symbol used for IFR waypoints. VFR waypoints collocated with visual check points on the chart will be identified by small magenta flag symbols. VFR waypoints collocated with visual check points will be pronounceable based on the name of the visual check point and may be used for ATC communications. Each VFR waypoint name will appear in parentheses adjacent to the geographic location on the chart. Latitude/longitude data for all established VFR waypoints may be found in the appropriate regional Airport/Facility Directory (A/FD). 3. VFR waypoints shall not be used to plan flights under IFR. VFR waypoints will not be recognized by the IFR system and will be rejected for IFR routing purposes. 4. When filing VFR flight plans, pilots may use the five letter identifier as a waypoint in the route of flight section if there is an intended course change at that point or if used to describe the planned route of flight. This VFR filing would be similar to how a VOR would be used in a route of flight. Pilots must use the VFR waypoints only when operating under VFR conditions. 5. Any VFR waypoints intended for use during a flight should be loaded into the receiver while on the ground and prior to departure. Once airborne, pilots should avoid programming routes or VFR waypoint chains into their receivers. 6. Pilots should be especially vigilant for other traffic while operating near VFR waypoints. The same effort to see and avoid other aircraft near VFR waypoints will be necessary, as was the case with VORs and NDBs in the past. In fact, the increased accuracy of navigation through the use of GPS will demand even greater vigilance, as off-course deviations among different pilots and receivers will be less. When operating near a VFR waypoint, use whatever ATC services are available, even if outside a class of airspace where communications are required. Regardless of the class of airspace, monitor the available ATC frequency closely for information on other aircraft operating in the vicinity. It is also a good idea to turn on your landing light(s) when operating near a VFR waypoint to make your aircraft more conspicuous to other pilots, especially when visibility is reduced. See paragraph 7-5-2, VFR in Congested Areas, for more information. Note also that many VFR charts include the following warning: CAUTION: GPS accuracy necessitates extra vigilance for other aircraft when navigating near any fix retrieved from a GPS database. My new book about using PC-based simulations to complement flight training will be available in January 2012. If you’d like a sneak peak, you can download the table of contents, a sample chapter, and other content from the book’s page at Wiley’s website. The Microsoft Flight team has announced the beta of the successor to Microsoft Flight Simulator. You must apply via the website; email inquires don’t count. According to the announcement, the beta test begins in January 2012. For more information about Microsoft Flight, see the product website.